Oh man, these are the absolute worst. Sure, people say that having big, soft Longboard wheels will solve your problem of feeling the jitters in the road, but there are those roads that no matter what you do to try and prevent yourself from being thrown off your board, it happens anyway! There are these ugly, nasty roads out there with these big cracks in the ground and years of tar snakes that have absolutely just conspired against you to try and remove any kind of pleasure that you could possibly get from your short ride to the store 3 blocks from your house. And the worst thing is, you know these aren’t going to be fixed any time soon, because you probably live in a residential neighbourhood and it seems that city governments just forget about residential roads about 4 months after they’re built. It’s a pandemic. 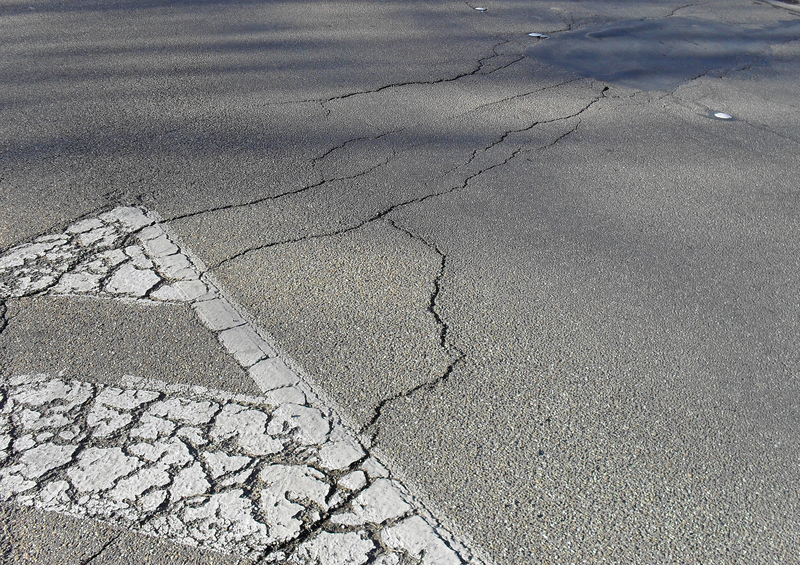 Bring up a petition with your neighbours to get your neighbourhood roads repaved! Fresh, grippy and smooth asphalt is the biggest turn-on for the esteemed downhill skateboarder. I have a story about this. Back in March, a group of friends and I decided to go skate and exploring. This means that you take a car, drive out to a neighbourhood that you’ve never been to before, and skate little hills and pathways that you may find. We came up on this big, big hill. I mean like, a path down from the top that takes at least 70 seconds to get down. So we decide pretty unanimously to skate it, but it turns out that there’s a very bad patch of road at the bottom. We’re all running through this going 55 km/h, and we all get mad wobbles, because the badly cracked pavement was tossing our wheels from side to side. It wasn’t a fun time. Always scout out your lines before you skate them! You never know what kind of madness you will run into. There’s another road that we do every week on our weekly night-ride circuit. 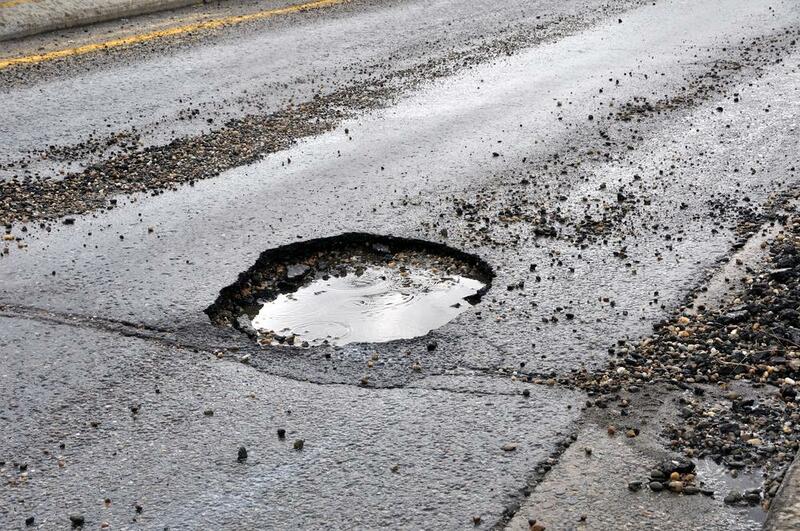 There’s this giant pothole in the middle of the ground that every single time no matter how many times we remind each other, someone runs into and wipes out. People who don’t walk in a straight line. Only if I could by something from the Longboard store to fix this! 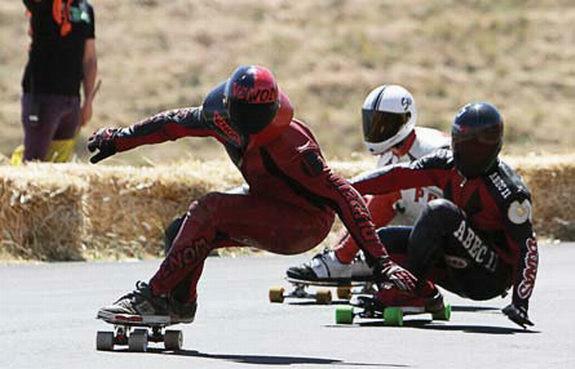 If you already longboard, you probably know how big of a pain it is to have people in front of you. But you can dodge them, since you’re skilled enough to after a week or two of straight riding. But you know what’s not easy to dodge? People who don’t walk in a straight line. These people absolutely push me to the end of the cliff. Why can’t you just walk in a straight line so I can pass you? Must you absolutely assert your dominance over the sidewalk so that no person, on wheels or not, can pass you and maybe get to where they want to go on time? I don’t know. It just doesn’t make sense to some people just refuse to stand and walk in a straight line. I don’t want to mention stereotypes but you can honestly confine them to a few different types of people, namely very old people. Longboard wheels that don’t roll fast enough. See, we’re longboarders. We like going fast, or at least we like rolling for an extended period of time. So wheels that don’t roll fast enough are a nuisance to us since that slows us down and impedes our ability to get from point A to point B. 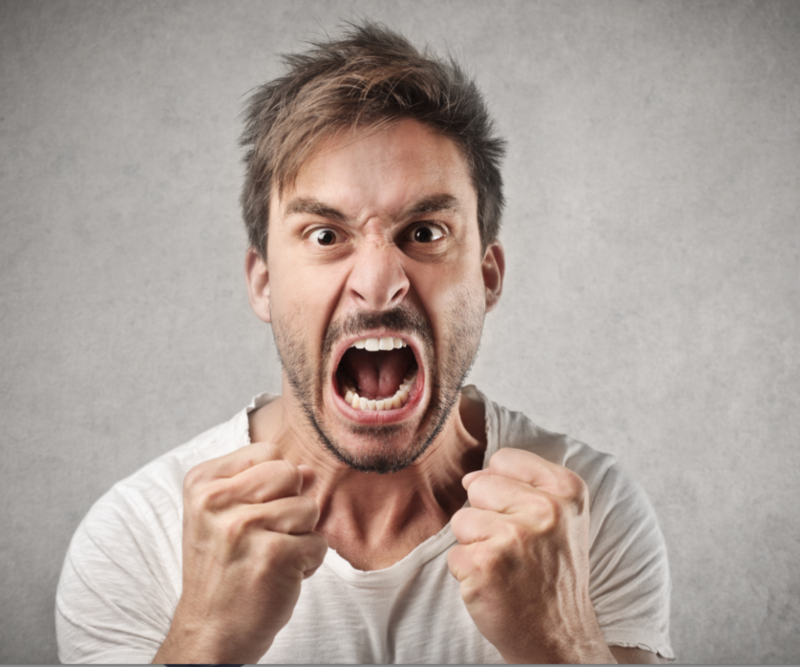 So, when we buy longboard wheels from the longboard store that don’t roll fast enough, we get angry. I remember a few months ago I splurged 60 dollars on a set of slide wheels, but when I tried to get to school with them, I found myself pushing 3 times as much. I wish I hadn’t. They’re horrible wheels too. I regret everything. I wish I was smarter. But yeah, this why we run super big wheels, because aside from commuting, we also like to go fast, and big wheels let us do that. 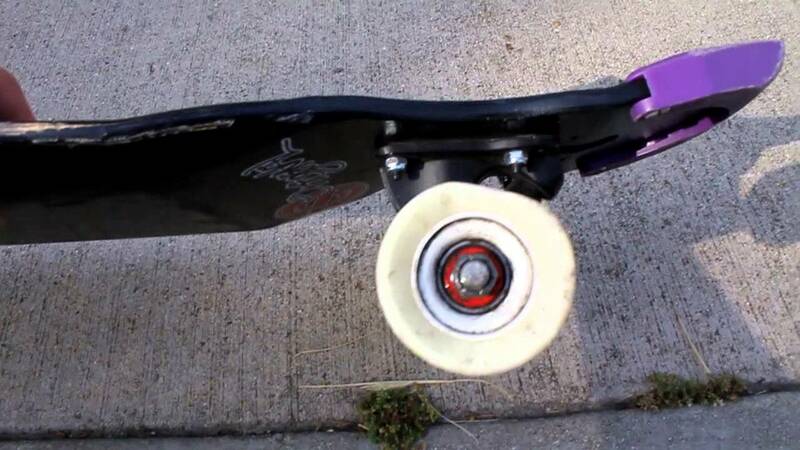 So that is why we don’t just longboard on regular skateboard wheels. It’s a pretty bad feeling when you are trying to ride side by side with a friend, but you can’t keep up because you have bad wheels on. You just slowly fall behind in speed until they’re 50 meters ahead of you and you’re inching down the hill. It’s pretty frustrating. Make sure you have quality wheels on before you race with somebody! Cyclists are so gosh-darn entitled! They want the road to themselves and it doesn’t seem like they are ready to share it in any way. I’ve had many run-ins with cyclists before, and every single one of them has been them being ignorant and extremely rude to skaters. On one occasion, a man in his late 40s came up to us and called us scum. Told us how expensive his bike was and how the carriage he was carrying had his dog inside. He proceeded to follow us for about a kilometer, shouting obscenities and trying to scare us. We caught up with some friends and he left. It’s just that, we like the road. The road is where our sport happens and it doesn’t make us particularly happy when someone hogs it all to themselves. We’re all about right of way, sharing the road, and passing each other when it happens! But cyclists seem to think that the road was built for them. 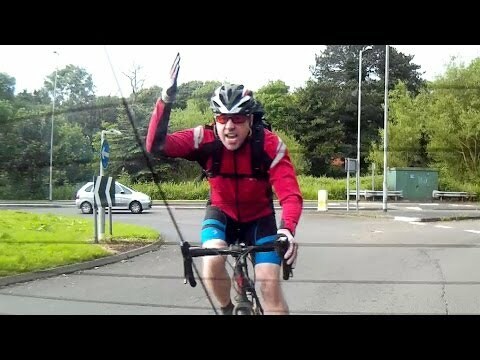 We love good cyclists though! Okay. This is pretty specific to people who do downhill and freeride, but guardrails are the bane of strong, healthy, intact, non-paralyzed backbones. Guardrails massively screw you up. You slip out in the middle of an extremely fast slide and you just casually glide into a guardrail, there, you get a broken something. You’re doing 180s and you somehow high side head first into a guardrail? That screws you up. In the head, and that’s not good. I have a friend who just got out of the hospital because he hit a guardrail and started convulsing on the ground. He has major nerve damage, among other things. Lesson of the day, whenever someone says, hey, let’s go out to this new hill I’ve been checking out, ask if it has guardrails in any fast corners. You may risk becoming injured for the rest of your life. There is this really nice hill in the middle of my city beside the longboard shop. It has paths going down it, and it could totally be a great freeride path, but nobody really uses it aside from the expert here and there because it has these super long guardrails going by it. It isn’t particularly the definition of a safe learning hill. The guardrails have dents in them from people’s helmets. There’s a pretty good definition of a healthy wheel and a wheel that won’t serve your needs for much longer. Good, healthy wheels are usually round, and all 4 wheels are usually the same size due to the rider rotating them every session of every few slides. Rotating runs off of a few different chains of logic. Firstly, not every wheel can wear the same way, realistically. At the best, wheels will wear so that the tread is still flat, but each wheel will still wear at a different pace. Usually, in order of most worn the least worn, the back heelside wheel, the front heelside wheel, the back toeside wheel, and then the front toeside wheel will wear. So what people have come up with is a rotation system based on the rotation of car wheels. Pretty much, the wheels rotate counter-clockwise at every major step in the wear cycle, for example after a few slides in a slide jam, after a long and fast downhill run, or just during routine maintenance. Personally, I number my wheels on the inside to keep track. I’ve kept wheels in good condition for months after they should have expired by other people’s standards. But really, unhealthy wheels are a drag. When you’re parkading or skating a long, flat path, you’ll feel those little bumps in those wheels. And in case of a flat spot, I’ve seen wheels that sound like a helicopter and make a very loud “BRRRRRRRRRRRRRR” sound. That isn’t pretty. In this case, you wear out those flat spots! Do some slides (a lot of slides) and really focus on keeping it at a 90-degree angle. It’s just not a pleasant feeling. We’re all longboarders. But we all accept each other because we respect each other and make sure that we accept and care and teach each other all the time. This is what makes the community go around. However, there are some bad longboarders out there who don’t really focus a lot on those values that we all try to share. Even more often than not they have the best gear! See my rant about Jon – Poser’s riding the best longboard brands with no idea! They’re are people who threaten others over races, spew obscenities, make a lot of noise and just do things that don’t really benefit the scene of longboarding very much. Sometimes, the things that they do affect us in a negative way and we don’t really appreciate that. There are some longboard brands out there, one in particular (I’m not mentioning their name), that promotes a bad lifestyle. I’m talking drugs, hooliganism, breaking property, skating in places where you shouldn’t be skating and just generally fooling around in ways that severely depreciate the value of the community every day that they are out there. They skate the inside of museums, for goodness’ sake. If you want to become part of the community, and blend in like everyone, either pro or not had to at one point in their careers, also adhere to the values that we represent. Or you will become like that company, ostracized from the rest of the community because nobody wants to be around bad influences. When you go down, it’s pretty imperative that you go back up. By this, I mean that once you ride down your favorite hill, you’re going to be climbing back up. This part of a ride isn’t really fun, but I’ll be honest with you, it’s the only exercise we really get in this sport. Come to think about it, the whole sport is literally just standing on a board for 30 seconds at a time. But it’s fun. What gives? Climbing back up to the top is tedious, no matter if it’s a shallow hill, or a short, steep one. It still tires you out. After your first run, your legs and ankles get so tired from climbing up the hill that your performance actually starts to go down. One of the most notorious hikes is the Maryhill Loops Road. It’s a 3-minute long descent, and then you hike to the top over a course of about 40 minutes. 40 minutes of climbing up a 6% grade hill will probably kill you on the inside. My local hill (We call is Scarbs) is a mellow 8% hill, and by the time we’re done our first run and we’re done walking back up, our legs are so tired that everyone is visibly slower the next time down! We’ve made some solutions, the most obvious of which is just getting someone to bring their car and drive us up and down the run each time. What a lot of people do is, everyone pitches in maybe 3 dollars each for gas, and then we just go ride hard. Skitching is another solution, where the car’s windows are all rolled down, and we grab the car’s window frames and we get pulled up. Skitching is a shortened form of “Sketchy Hitch-hiking”. Pretty neat, and it’s a ton of fun as well. We’re longboarders, but in a broad sense of the sport, we’re honestly just skateboarders on oversized skateboards. And yes, we’re quite different. We don’t really cause damage to stuff, we can’t really skate everywhere and anywhere, but not many people notice this fully. Many people still group us in with that mindset from the late 70s where “Skateboarders are bad! They make noise and they’re bad for the community!” was the general opinion and this led to a lot of places being closed to skateboarders. This stuff happens quite often, but honestly, we’ve mostly learned to accept it as it is. However, something that we really can’t get over is bad police officers who follow us on our runs and do things that make us crash, and then give us tickets for enjoying ourselves. Mind you, most of these tickets get waived as soon as we appeal them in court, but they’re given out to us in the first place anyway. If you really think about it, skateboarding isn’t a crime. Roads are usually open to vehicular use, powered or unpowered, and there’s no reason why longboards can’t fit into that category. When we bring this up to police officers, they usually then give us tickets for disruptive behavior, which also doesn’t make sense. Lastly, rusted bearings. Rusted bearings are the worst. They make ungodly sounds, make your wheels roll slower, smell like rotten steel, they’re the color of spaghetti sauce that has been left out for too long. The worst is when you’re at the top of a hill before a run and you just randomly discover that your bearings are rusted. No more longboarding for you. WEAR A HELMET. –Ryan L, Longboarder. Longboarding: Role Models and how to drive the community. I didn’t get into longboarding by myself. Sure, I got that first little cruiser board by myself (It was the best impulse buy that I have ever acted on), but everything after that was chosen by other people. What I mean by this that I didn’t really motivate myself. I was motivated by many different people in the community, both big-time and small-time, and all that and their words are really what got me to where I am now. So I want to tribute them and talk about them a little bit. My biggest inspiration from the get-go was Zak Maytum. No, I haven’t met him, nor does he really know that I exist, but there are many things that he did that really pushed me to get better and get more and more involved in the community. First of all, he’s a great rider who makes awesome media for the community. He strives to show how good he is in a way that encourages others to follow closely suit. He posts raw runs of roads no one’s ever seen before, along with runs that people may never skate again. He employs some questionable tactics (footbraking at 60 miles an hour, what a legend), and that’s subsequently made those tactics and techniques pretty acceptable in the community. As you can see, he’s extremely, extremely fast. I would say there was an average speed of around 50 miles an hour on that run. I find it pretty impressive how he does this in a plaid shirt and jeans. A fall would’ve meant some pretty serious injuries. However, his riding isn’t the only thing that really got me going in the community. It’s what he does and contributes to the sport that really inspires me as both a rider, a writer, and a summer employee at my local shop. Zak is the big boss-man of Venom Bushings, a pretty powerful company that really has a part in determining the feeling of a lot of longboard setups. However, it’s the fact that Zak sponsors events and riders that really makes a lot of the community roll around. With his help, many events are able to gather a large riderbase, which results in those events succeeding in terms of profit and sustainability, which is awesome. It’s a rider like this that I try to base myself around. I ride hard, but I also dedicate a lot of my time to making sure that my local community runs just as well as I would like myself to run. In my spare time, I invite new riders to my house to come look through my box of parts to see if they have anything that they want. I help them dial their setups in, from cruiser setups to downhill or freeride setups so that they can enter the community and feel right at home, just like my local community did for me when I first started out. It’s important to be like this. In such a tight-knit community like the longboarding community, it’s important that you as an individual rider help the community in a big of a way as you can. It’s pretty understandable that no, not all of us can start companies like Zak did and sponsor events, but we can totally improve the riders around us by being informed and helping each other create the perfect setup or offer advice about how to take the next hill or maybe teach a slide. I remember back when I first started, I met my good friend John. John is one of our scene’s top riders, he takes the steepest hills, takes the sharpest corners and he does the longest slides. I’d say that he’s probably the next to be sponsored by a large company. John was the guy that encouraged me to fully enter the community. I’d been wanting to for a while, but I was never sure, expecting to fall behind because everyone had already been skating for a while. John came along and told me I was wrong. He came halfway across the city to come skate with me, a grom who back then had a cruiser board with some wonky gear. But he didn’t comment on that. He taught me form, he gave me some tips about how to set up my gear, told me to get more comfortable with my board. He told me I was tense and that I should relax more, that things are actually a lot easier than they seem. And he was right. He kept inviting me to events and introducing me to friends that I now skate with almost twice a week. He didn’t just kind of leave me on the side of the circle, he brought me right into the bustling center of it. I remember how at my first night ride, he took me and just announced to everybody that there was a new rider. He didn’t call me a beginner, he called me a “rider”. One of them. That made me feel extremely encapsulated in the community that would pretty soon become one of the central pivots of both my physical and social lives. If you’re experienced and have been longboarding for a while, be like John. Be the start of a new community, be the person who will bring people in and make them feel welcome. You may be one person in a sea of many, but you can be the one person who does the work of 10. It’s people like this that make the community go around. If you’re a beginner, be assured that there are many Johns around. As long as you look and ask for help, a John will come by and show you the ropes. It’s an extremely friendly community to get into as long as you look! And as always, wear a helmet. Ryan L, Longboarder. I never put any motors on my longboards, I prefer the style of longboarding of where yes, you have to push the ground from underneath you. But that isn’t to say that electric longboards are really, really stupid fun. I have gotten tired of pushing before. Sometimes it really gets to be a drag when you have to push for 18 miles. Your legs hurt, you’re winded, but of course you just can’t stop because one, you have a destination and two, all you want is the wind in your face. Wouldn’t it be just awesome if you could say, push a button and travel 18 miles without touching the ground once? I’ve thought about this before, and that’s how I stumbled upon electric longboarding. It’s where you take a powerful, compact electric motor and attach it and the batteries to the bottom of the board. It ends up being an extremely fast way to get around with minimal effort, and I would be lying if I said it was bad. It’s great. You can go up hills, down hills, carve endlessly, and I have had friends who told me that they have drifted them before. You initiate a slide and just keep pressing the button that makes you go. So, some practical reasons as to why electric longboarding can be extremely useful. It doesn’t make you sweat. I’ve found over the years that I haven’t been able to skate over to a job interview or to a formal thing because of the fact that yes, pushing a longboard for a few miles does make you sweat. And it isn’t just armpit smell, it’s whole-body sweating athlete smell. And that isn’t great for impressing people. Because all you have to really do is just press a button and cruise for a few minutes, it’s awesome for commuting, especially in the hot hot summer. Just continuing on from this, you can longboard wearing anything on an electric longboard. Since the platform is usually pretty flat, you can carry anything, even wear a full suit without worrying about ripping your groin fabric (this has happened to me before, I would not recommend skating in expensive pants.). Also, some people just don’t have the balance and energy to push around a longboard. Then electric longboarding is great, since all you have to do is stand. We’ve been standing our whole lives. 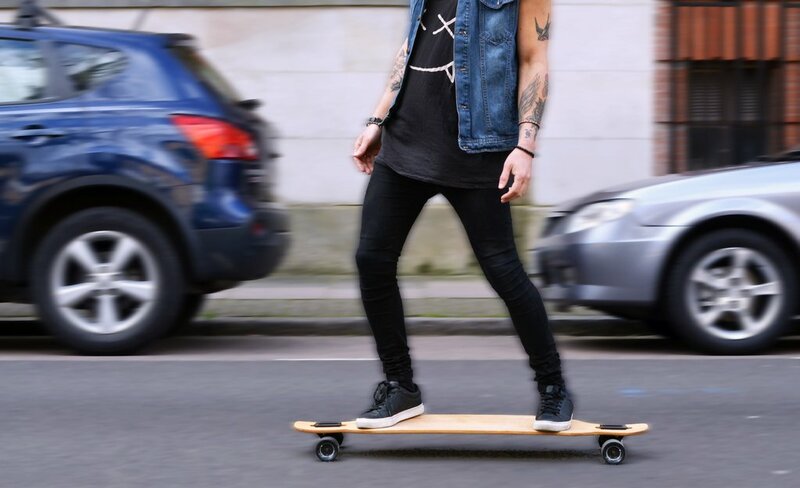 Imagine standing and longboarding at the same time! It’s a revolution! In terms of being environmentally friendly as well, electric longboards are extremely crucial in the development of healthy, powered vehicles and modes of transportations. A few years ago, there was the phase of small powered vehicles that was the gasoline-powered piston bike. It’s extremely gas-guzzling and loud, it smells like gasoline, and definitely not the most stylish thing ever. I’m pretty sure it’s illegal on most boardwalks as well. An electric longboard on the otherhand has no emissions and all it requires is some charging at home and work. This is going out on a stretch a bit, but I would also say that electric longboarding is quite alright for how efficiently cities run. Since electric longboards are so fast many times, they are well-equipped to use the road bike lanes that many cities have in downtown. This removes clutter from the sidewalks and I would argue that it ends in a less-cluttered, faster-moving city grid. Speaking of grid, it removes cars from the road as well! People used to take their cars even out to the post-office, but nowadays people are starting to realize that with all the clutter of gridlock and traffic jams in the morning, in many cases it is actually much faster to bike or longboard to your destination. I personally longboard to school every morning because it’s much faster than taking the bus that is packed with more than 30 kids at a time, anyway. It’s a pretty sustainable, healthy mode of transportation, which I am proud to say I indulge in every single morning. Another pretty large opinion I have is the riders. Yes, we at my city’s local longboarding scene have seen electric longboarders in our midst at times, and we don’t mind them at all! They just want to cruise and get around to where we get around, watch us skate and have some pretty down-to-earth conversations with us. There was this thing one time that an electric longboarder decided to pull us up some hills after our runs and it was one of the friendliest gestures we’ve ever seen from another skater; and that’s exactly what electric longboarders are, just skaters with really cool longboards! So, in the end, electric longboarding can be super cool, as long as you are. Pick up an electric longboard today at Magneto and start riding around! The Magneto Electric Skateboard has a strong motor 1200W in fact that will carry you up hills and all the way to work. Because of the quick charging, it’ll be more than convenient to charge up while you are at places, and as always longboards are great to carry around and bring into buildings, so the electric longboard makes, in my opinion, one of the most versatile land vehicles ever. Powered land vehicles. SKATE OR PIE? Ryan L, Longboarder. I remember my first hill incredibly clearly. I’m not saying the hill that I first rode with that group of longboarders that really made me fall in love with downhill, I’m talking the first really steep and fast hill that I skated. This hill was exhilarating and scary, it was an incline that you could see from the top to the bottom, and I’m going to outline my experiences on this hill (I’ve skated it too many times), and give some constructive advice that will help your downhill longboard game in your first baby steps. I would define a fast, downhill hill as one where you can reach at least 50 kilometers per hour if you are going down in a full, compact tuck without slowing down. Yeah, it sounds scary but it’s the nature of downhill. 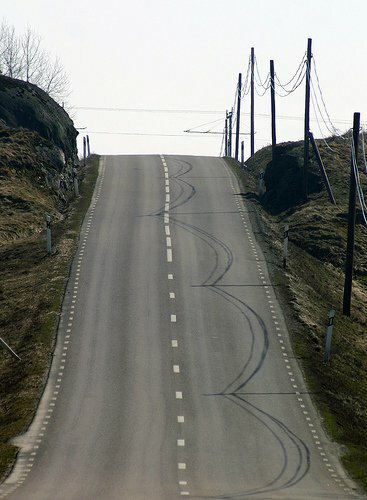 You are trying every time to beat your previous speed record on the same hill. It’s the largest motivation for downhill for many people. It is for me. I use GPS applications to track my speed down that hill and every time I skate that hill, I try to raise the average speed by at least 3 kilometers per hour, which gets harder and harder each time, pretty logically. The first time I went down this hill, I footbraked constantly. This is something that you should do if you aren’t a super experienced skater. When you are going down the hill you should make sure that you know where it slows down, where it is bumpy, where it gets fast and if there are any parts of it that you can’t go down without doing a few slides. Usually, harder runs have corners that you need to predrift, but for most easy to moderate runs, you can grip the whole run. The second time I went down the hill is when I encountered some problems that I assume a lot of people encounter the first time they go fast down a hill is speed wobbles. Wobbles are a pretty widely known phenomenon where your vehicle turns left and right back and forth rapidly in increasing magnitude until you are thrown off. This is a pretty common for all fast sports, like motorcycle drag racing and even racing cars. In these motorized situations, the solution is usually to go faster by accelerating, but since we are a gravity sport, we don’t have that option. Our only option is to manipulate the way the longboard behaves under our feet. The universal solution to speed wobbles is to put all the weight on the front of the board, as close to the front truck as possible. So, one of the best ways to do this is to get into a nice, efficient tuck. A tuck is that position that I talk about a lot, where your knee is touching your other calf and your chest is on your front knee. This is extremely aerodynamic. 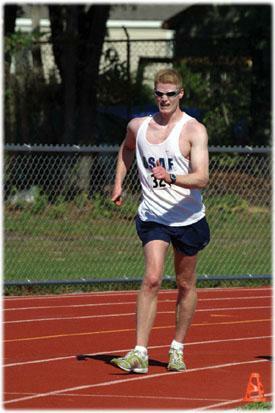 But it is also great for keeping your weight out front, because all you have to do is simply lean forward. The harder you lean forward, the more stable you will be. There is a scientific explanation for this. Wobble comes from the back trucks. This is because essentially, if there is more weight in the back, the back trucks are given free roam to twitch as much as they want within the scope of the front truck, meaning that the back will not wobble back and forth, because the front truck is not there to keep it in check. However, when you keep your weight in the front of the board, the back truck is only trailing. It is not doing any steering, it isn’t supporting you at all, it’s just trailing behind the front truck, and much like a trailer behind a truck does. Other ways that you can reduce wobbles is carving. I’ve spoken about this in the past. Carving is a very versatile tool that can easily be used to ride out of wobbles. Much like surfing a bad wave, you can catch wobbles at either the right or the left by simply just leaning into it when it happens. At first, leaning into a wobble will be one of the harder things you do. Wobbles are completely unintuitive. They cause panic, they’re very hard to control, but once you have bailed from and experienced many wobbles, you will begin to anticipate them more than be scared of them, much like I have! You can feel wobbles emanating from the back truck most of the time, and an uneasy feeling comes with it. This is when you know you should carve to get rid of a little bit of your speed. Another thing about going down hills is the fear aspect of it. The first time you go down your hill, you don’t know your limits. My best advice that I have for a starting downhiller is to start near the bottom and work your way up. Footbrake consistently and make sure that you are always at a speed that you are comfortable. Another thing about mentality is that if you aren’t comfortable, it’s pretty easy to make a mistake and crash. I’ve had instances where I was really nervous going down hills and I would overestimate corners, slide when I didn’t have to, miss the corner and run into the grass and crash. Most of my road rash on my body is actually from being nervous. My way to combat nervousness is walking down the hill and scouting it out before I go down it. This way, I know which sections will be hard and which sections will be a challenge for me. It’s a good way to prepare mentally. ROAD RASH. Ryan L. Longboarder. Thats right, Longboarding is actually good for you. The pushing motion develops a stronger core and leg muscles, whilst it’s also a great type of cardio. Longboarding can be a lone sport but in most cases it’s a community sport, where people bond get to know each other and of course help each other out and improve together. Longboarding is FUN, FAST and gets you where you need to go quick, so it’s practical too.